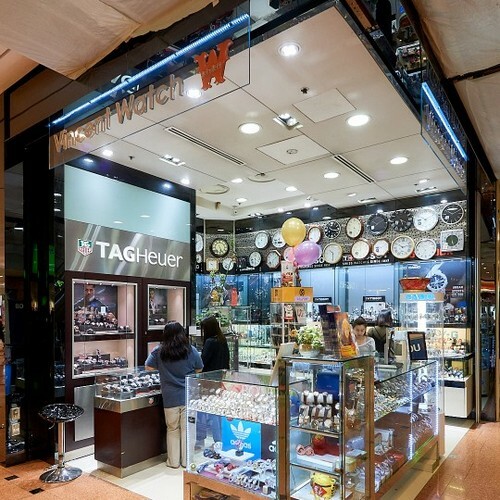 Vincent Watch has a network of seven boutiques in Singapore, including two shops within Jurong Point mall (1 Jurong West Central 2). Founded in 1985, Vincent Watch is a trusted watch retailer carrying a selection of more than 40 internationally well-known brands. …Marc Jacobs, Marshal, Maurice Lacroix, Michael Kors, Mido, Nixon, Orient, Oris, Rado, Raymond Weil, Seiko, Skagen, Swatch, Tag Heuer, Timberland, Timex, Tissot, Tudor, as well as Victorinox. In addition to the above boutiques, Vincent Watch also owns and operates the Watches Of Japan store within Bedok Mall (311 New Upper Changi Road, #01-28, Singapore 467360).